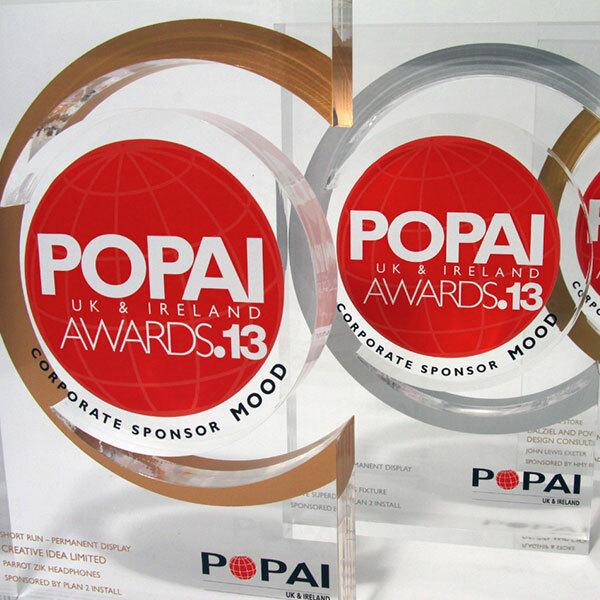 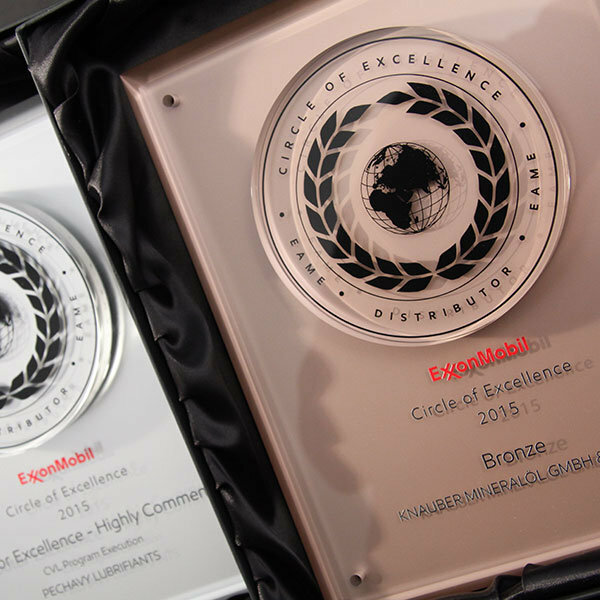 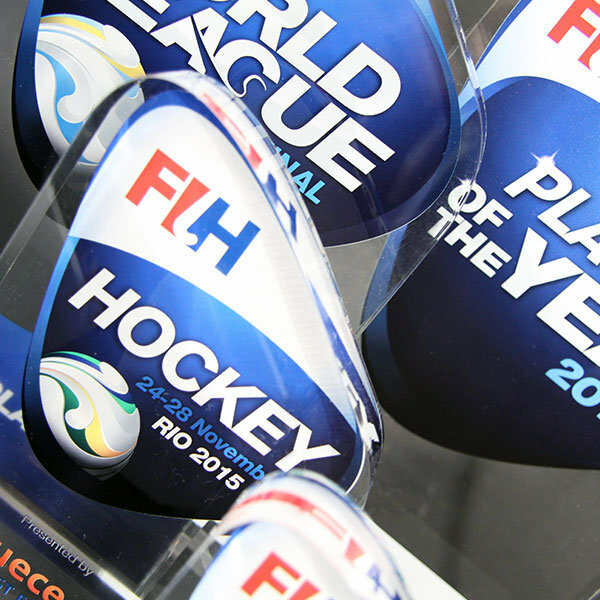 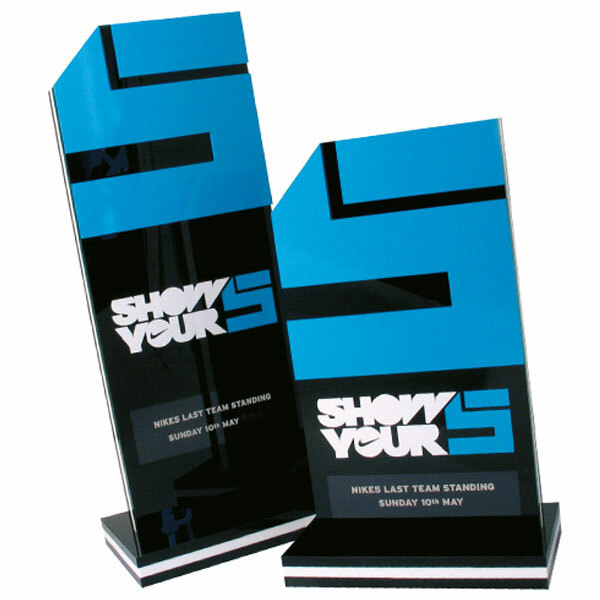 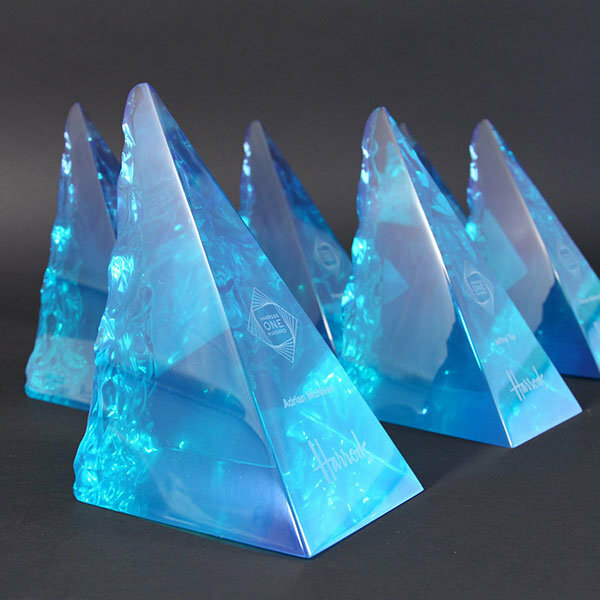 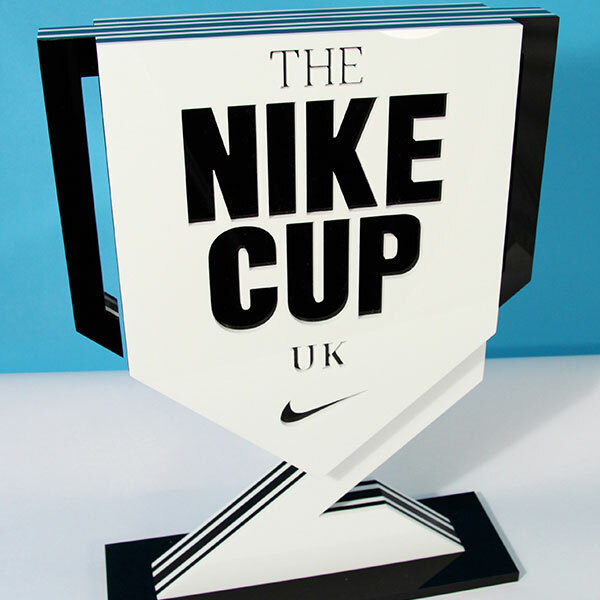 The design options for a custom made acrylic award are numerous. 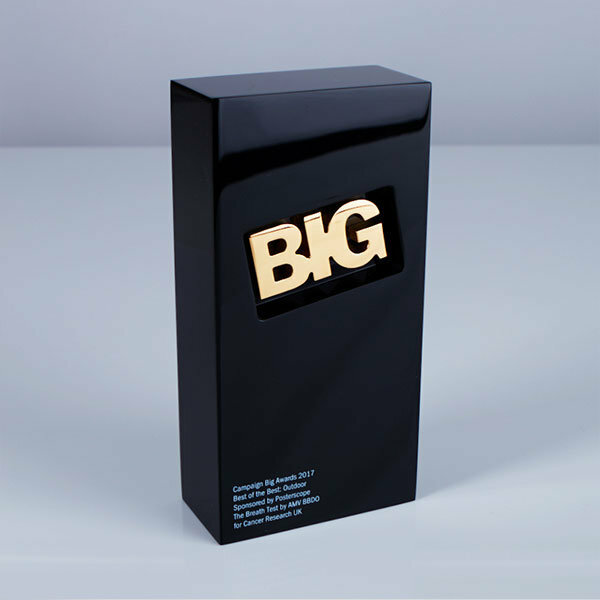 It is a medium which offers vibrant colours, the potential for photographic quality graphics, a virtually limitless scope for custom shapes and all at an attractive price. 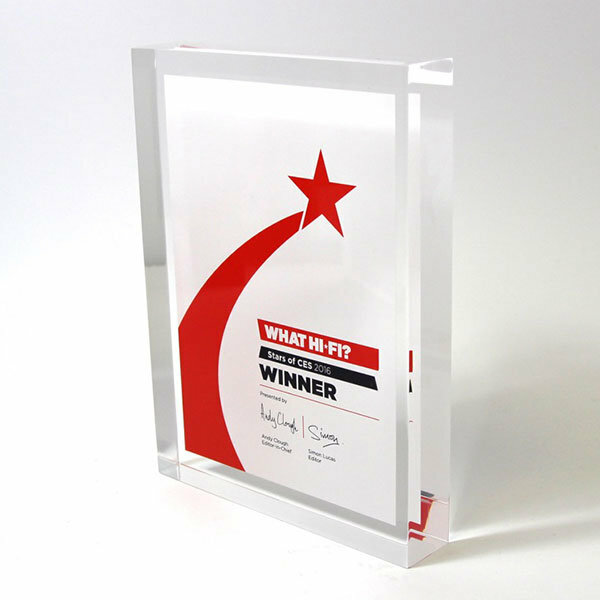 At EFX, we specialise in the four main acrylic manufacturing processes: cast acrylic, encapsulation, lamination and profiled, free-standing forms. 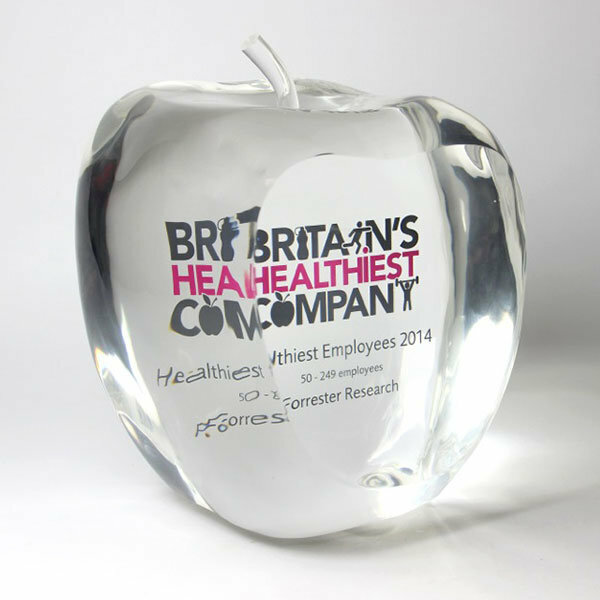 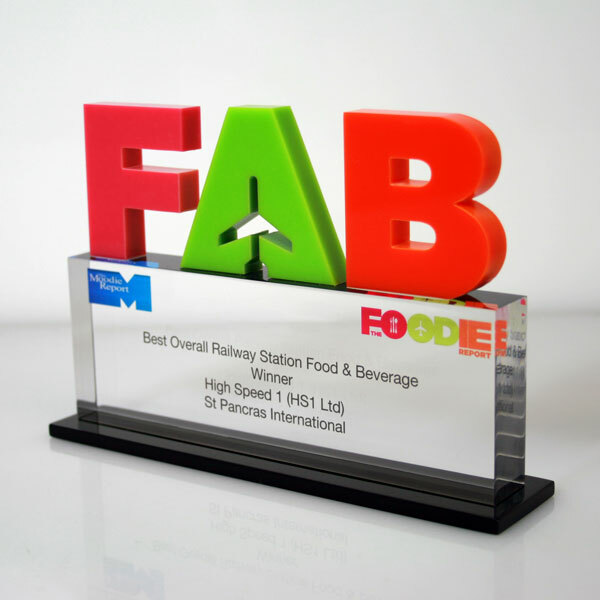 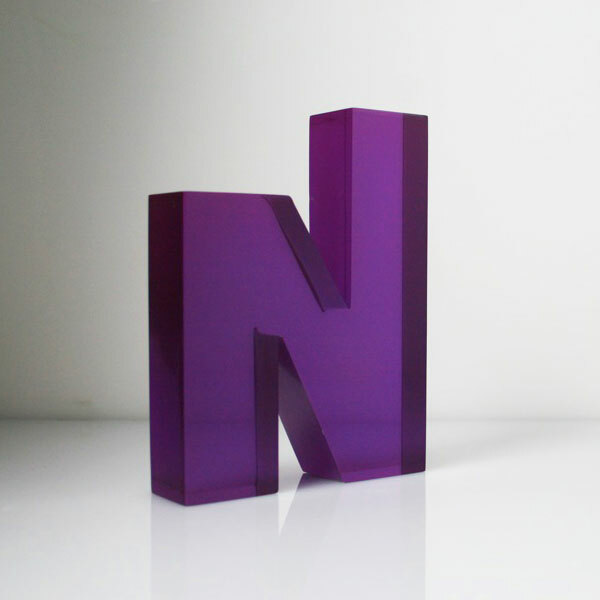 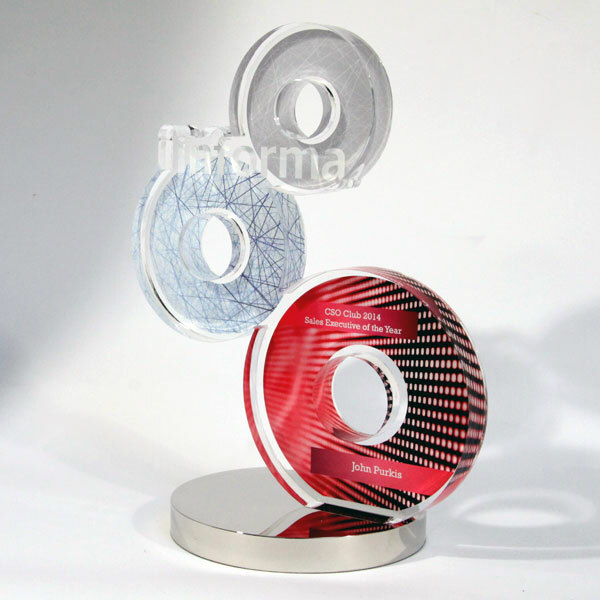 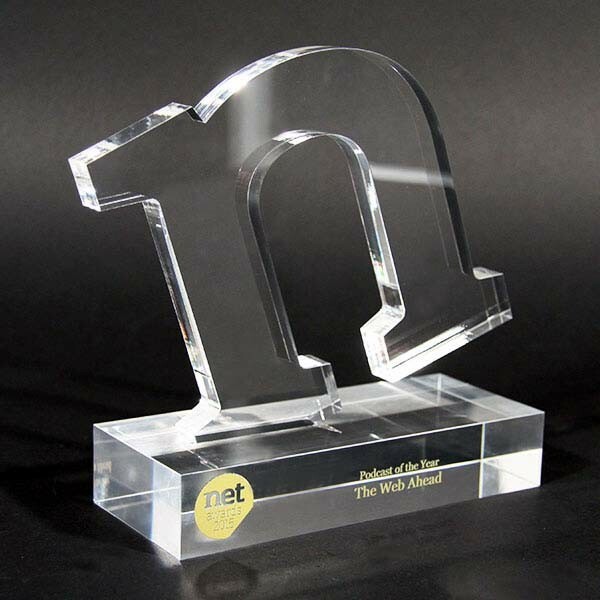 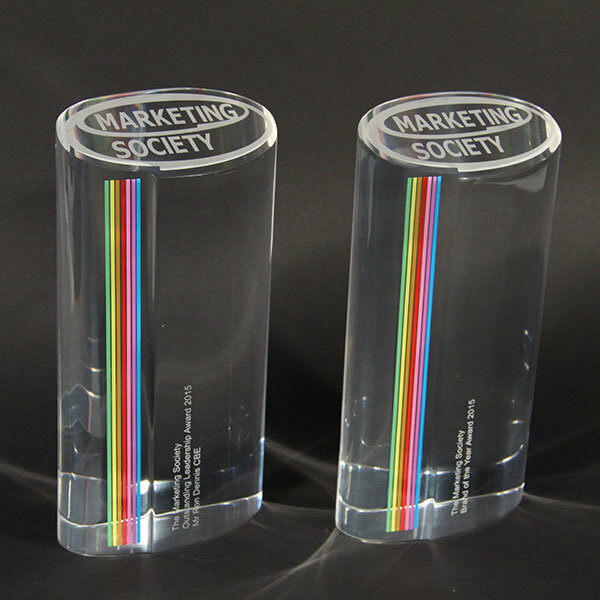 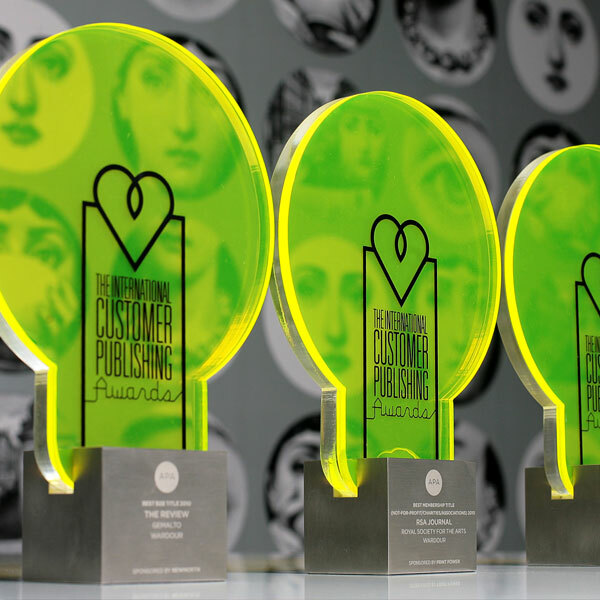 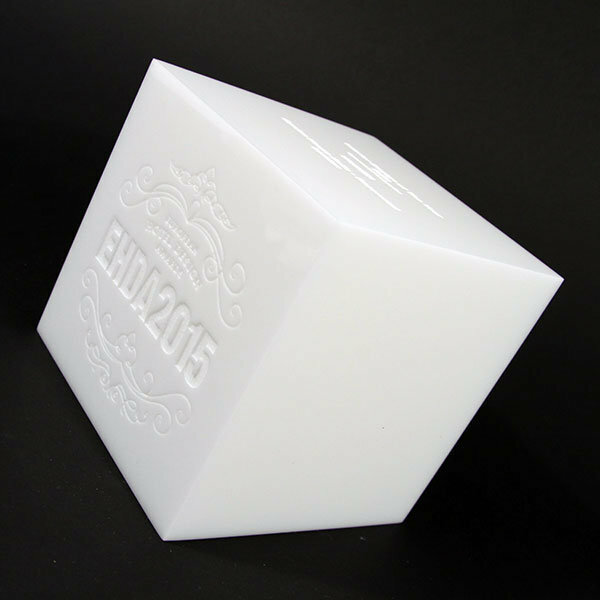 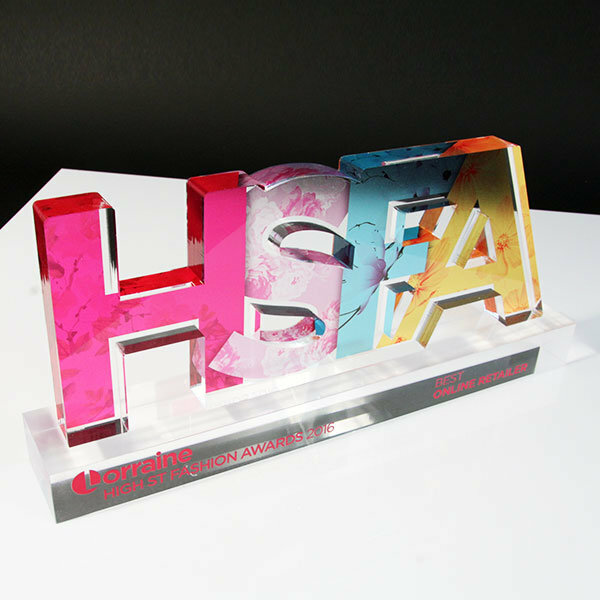 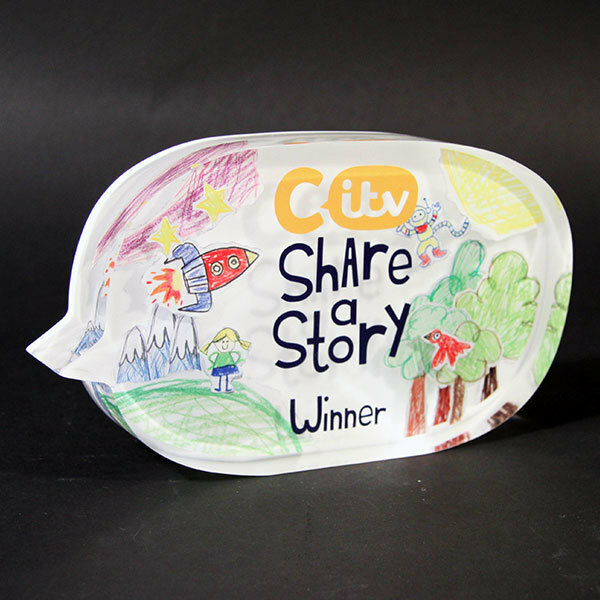 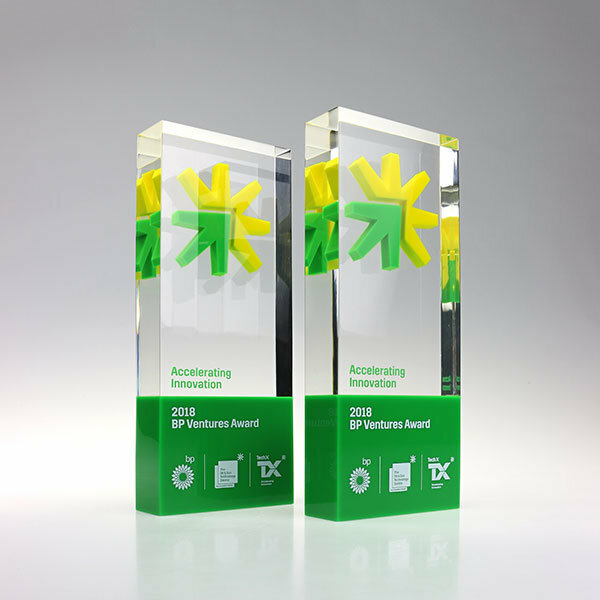 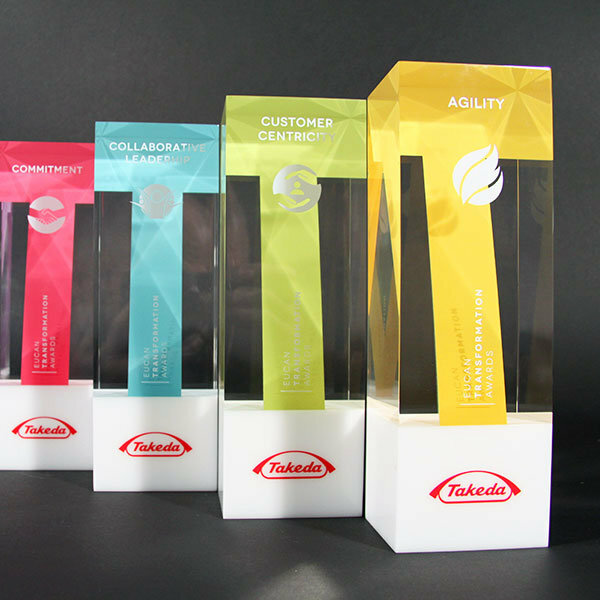 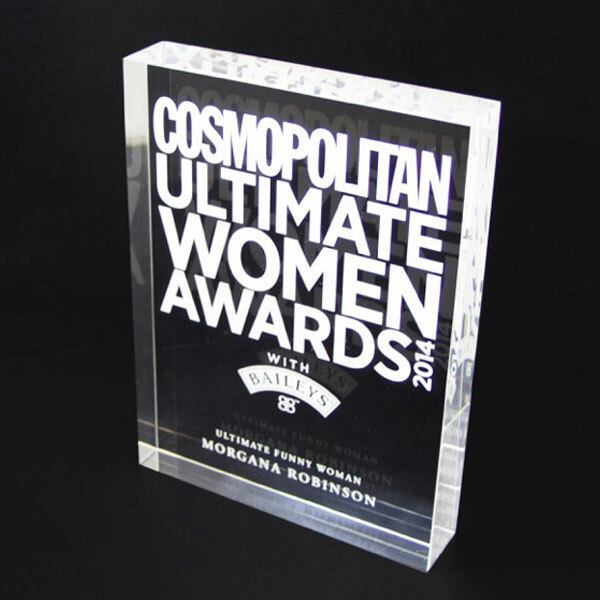 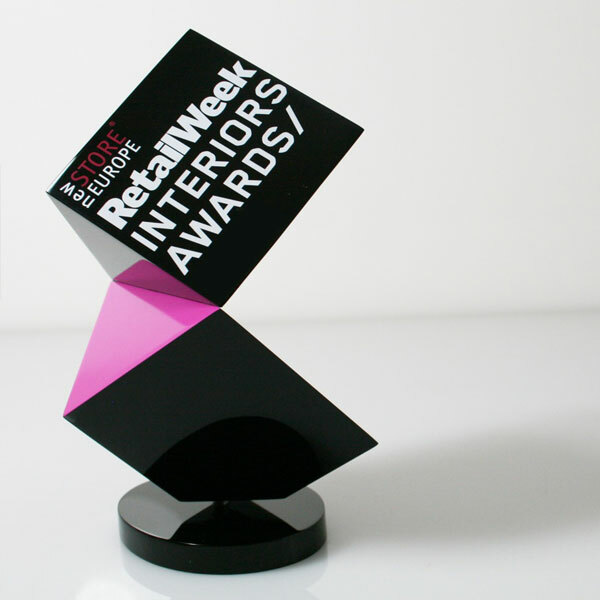 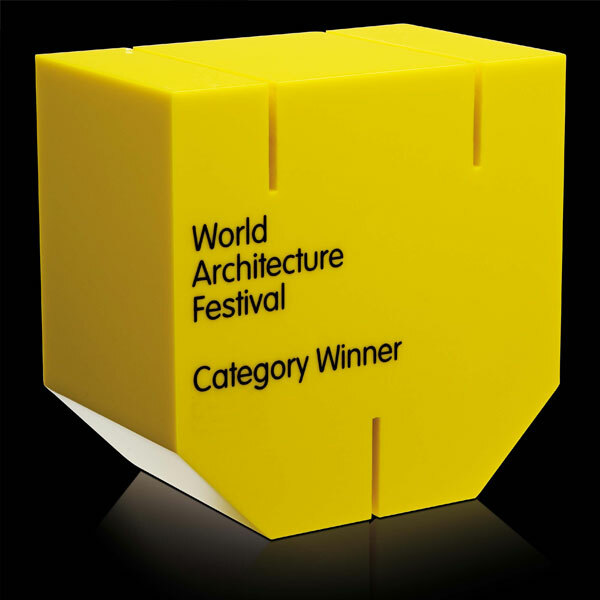 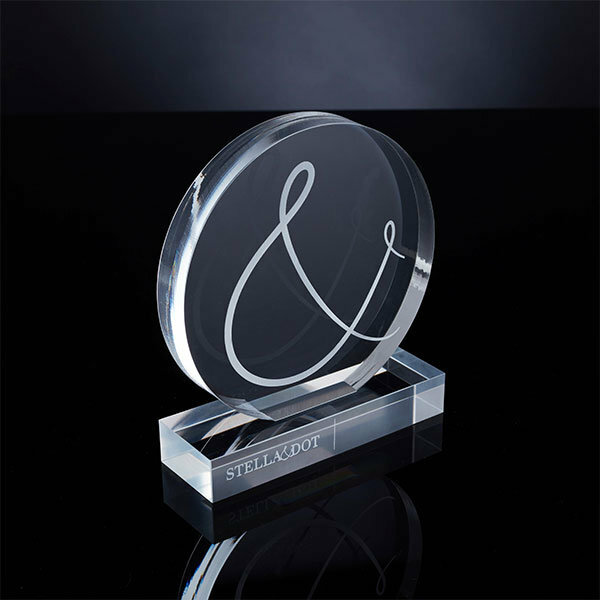 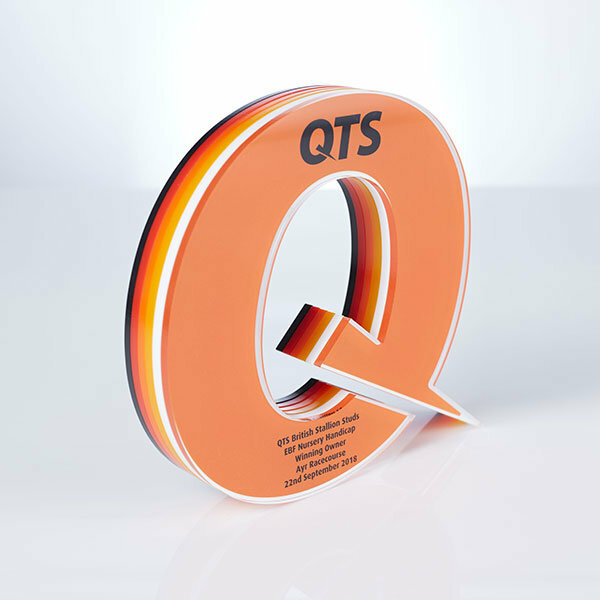 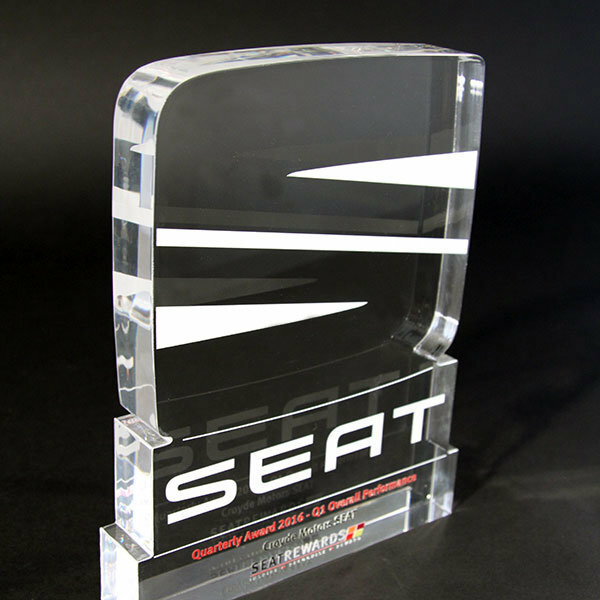 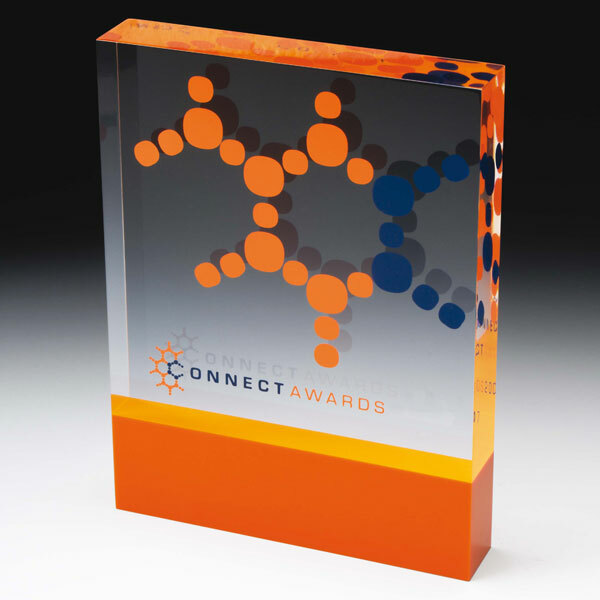 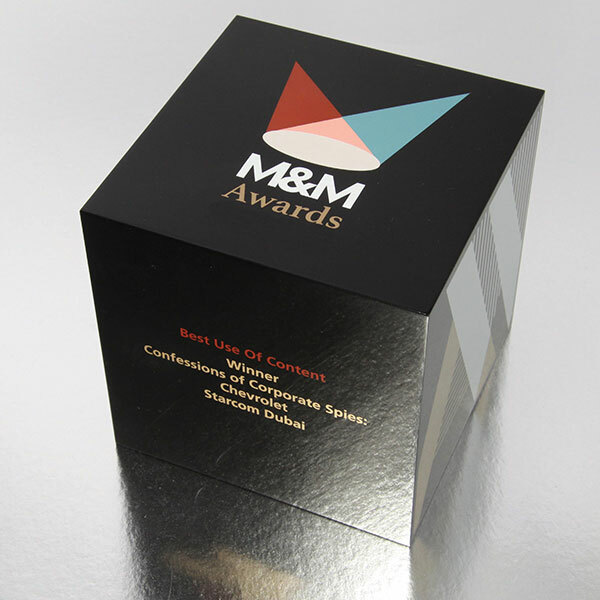 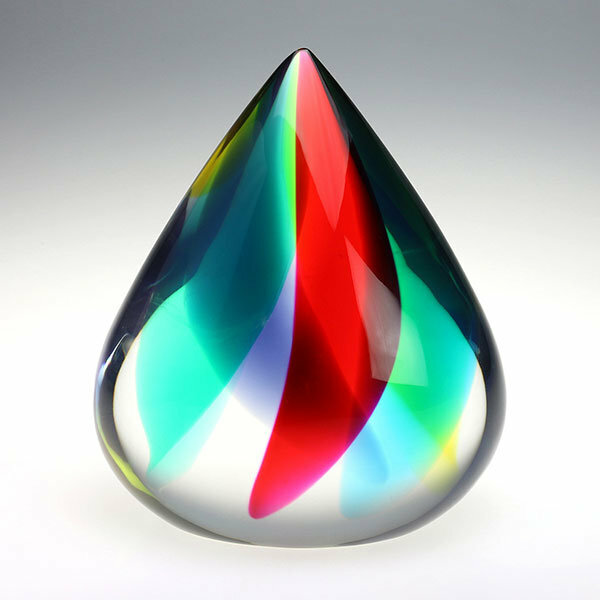 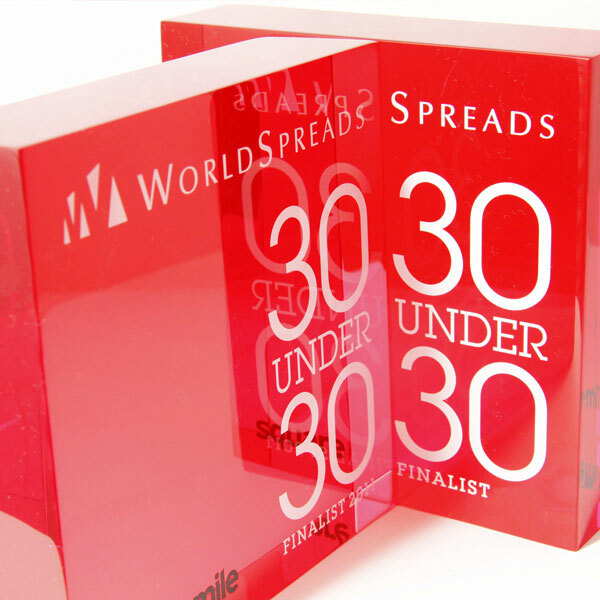 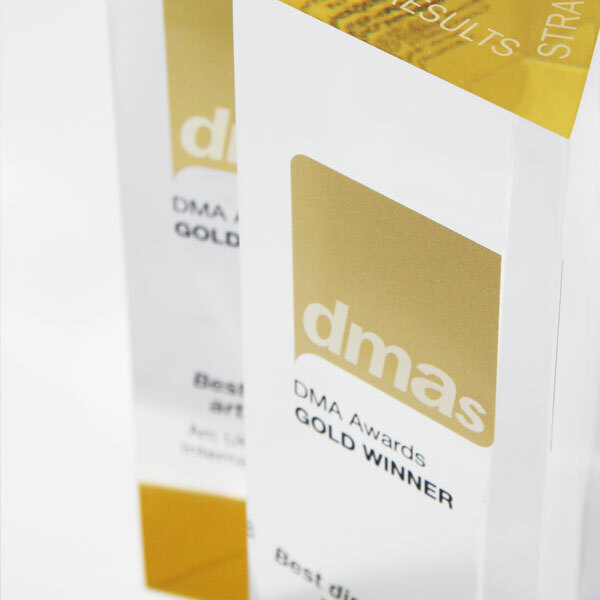 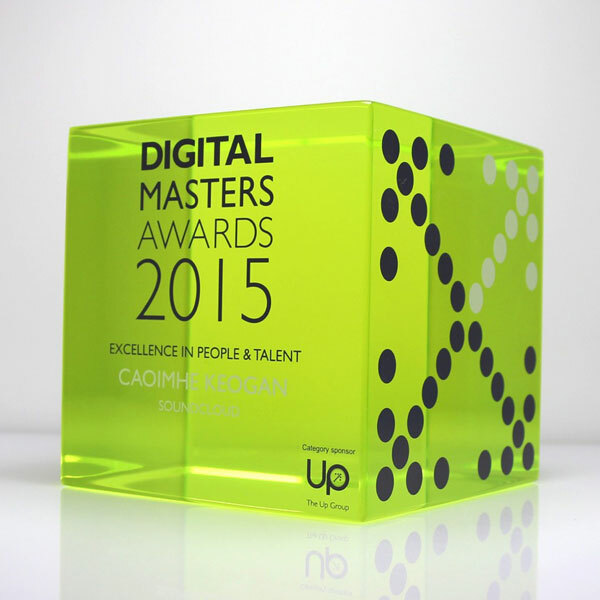 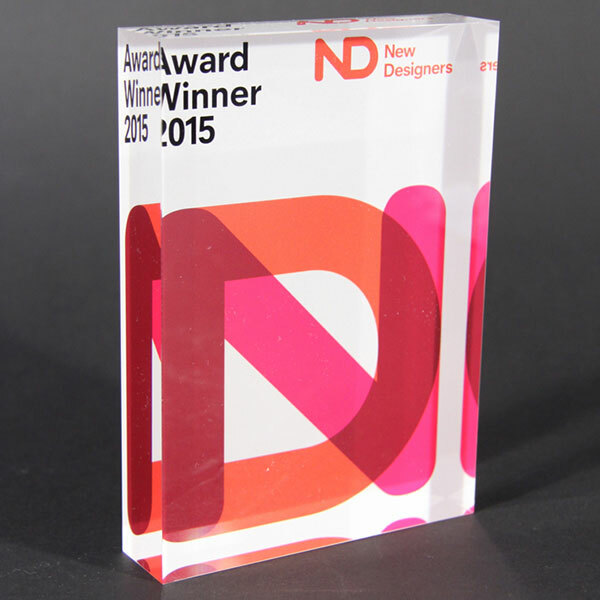 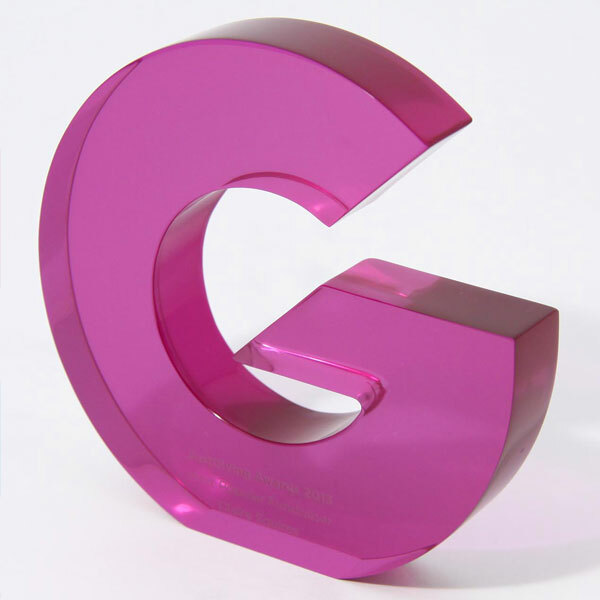 A cast acrylic award is surprisingly heavy, making an immediate and positive impression on the recipient. 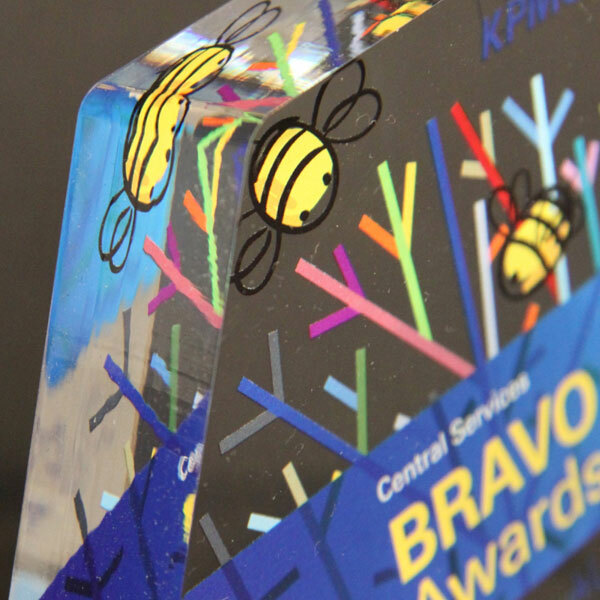 Graphics are internally suspended, providing a true 3D effect. 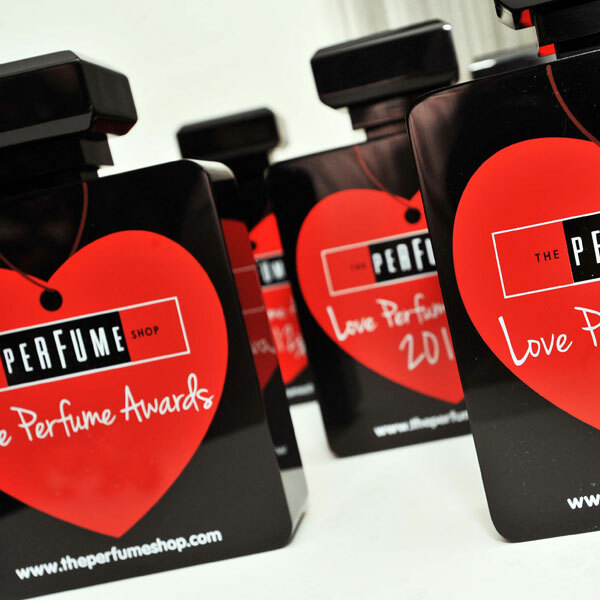 In the case of the British Arrow Craft Award shown here, a golden arrow is suspended within the cast acrylic, whilst the Love Perfume Award is cast in the shape of a perfume bottle. 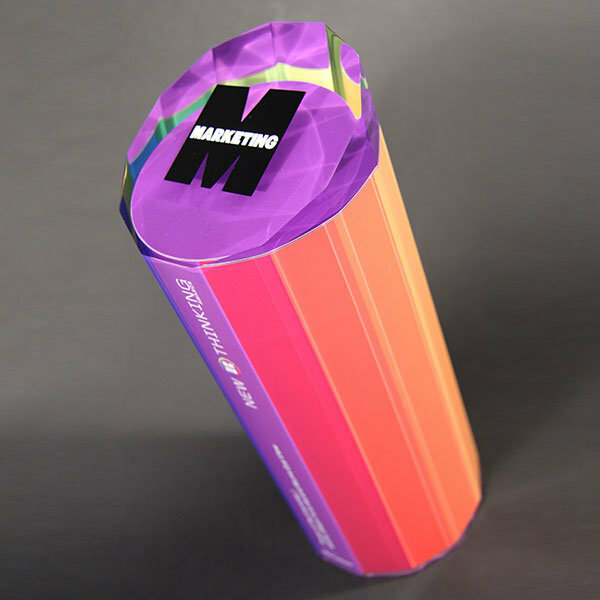 Alternatively, colour and graphics are achieved with layers of coloured, laminated acrylics, creating an intriguing striped view from the side. 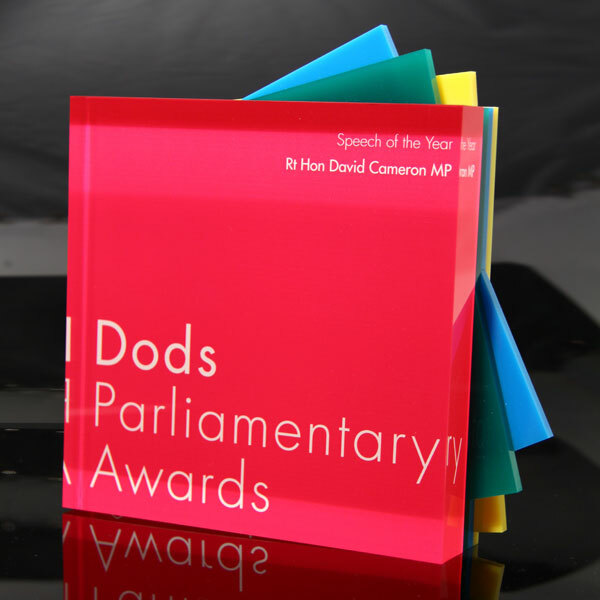 Examples of acrylic trophies shown here include the TPAS and the Dods Parliamentary Awards. 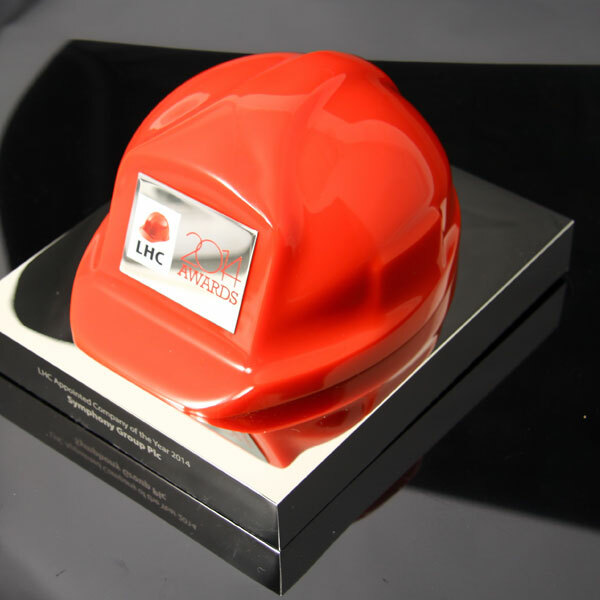 Our studio is constantly looking for unique and new ways to use acrylic, resulting in mixed media trophies, including the LHC Award shown here, which combines a familiar builder’s hard, red hat, made in acrylic and mounted on a mirror finished nickel plated plinth. 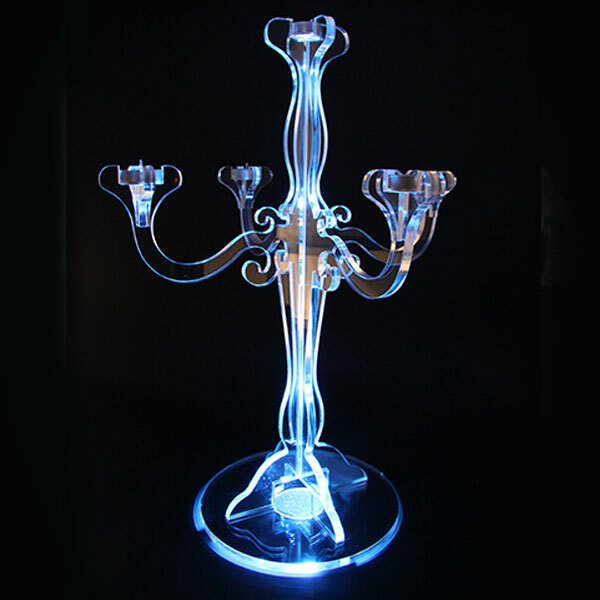 We also design and manufacture freestanding table centres such as acrylic candelabras, which are popular for themed events. 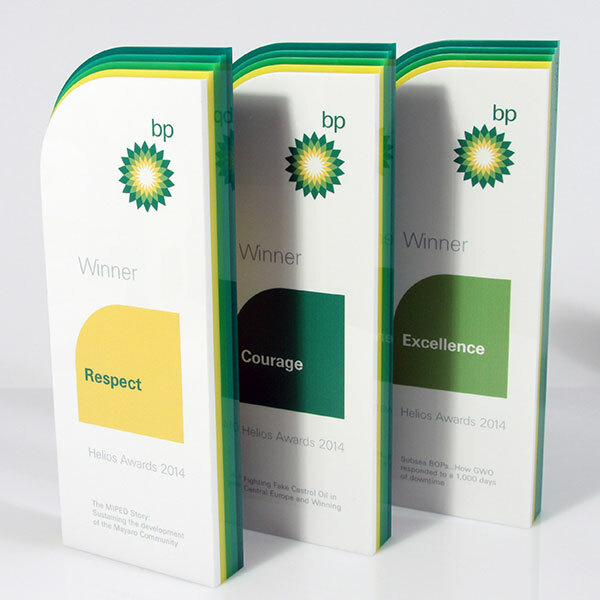 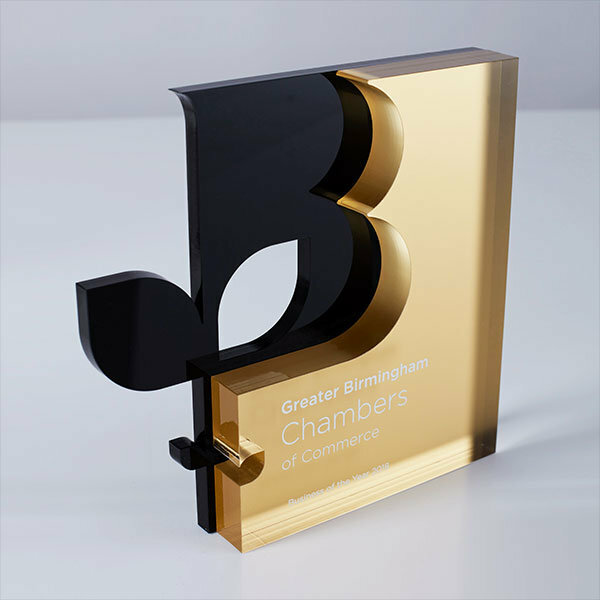 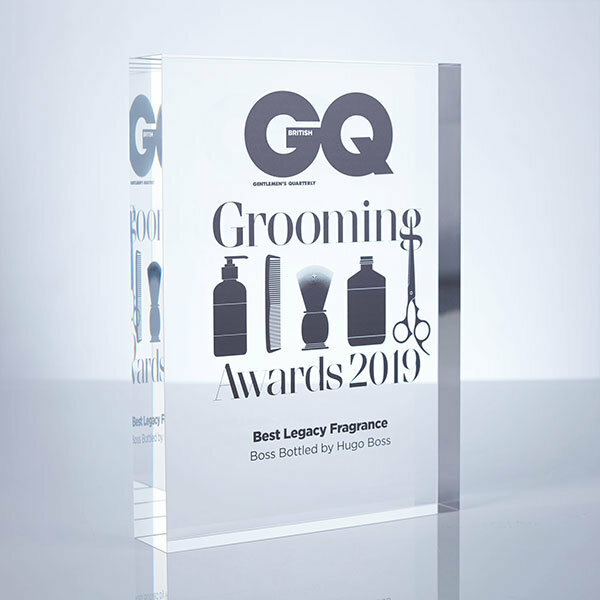 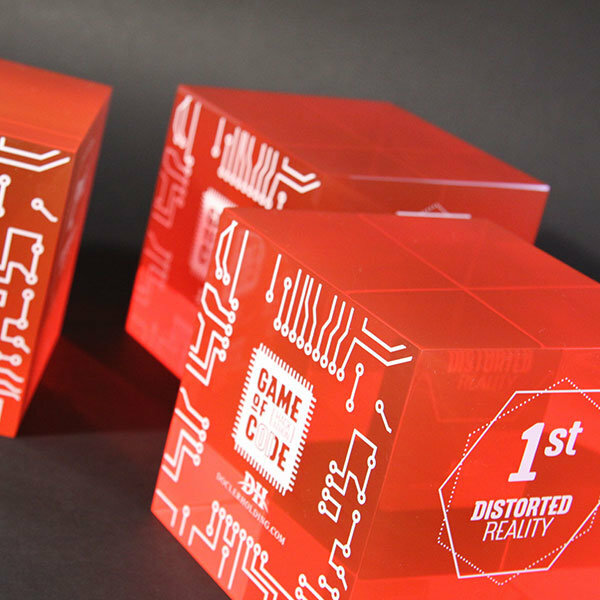 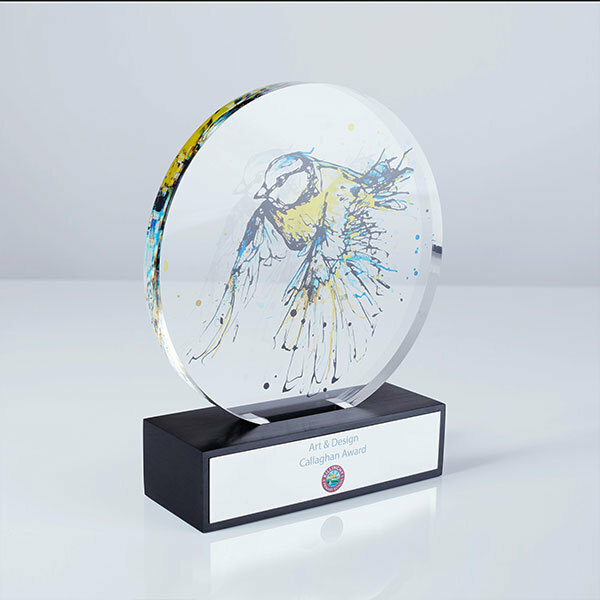 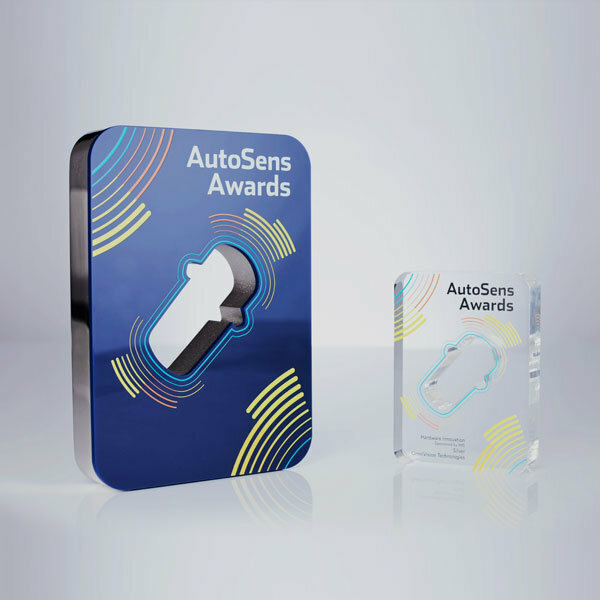 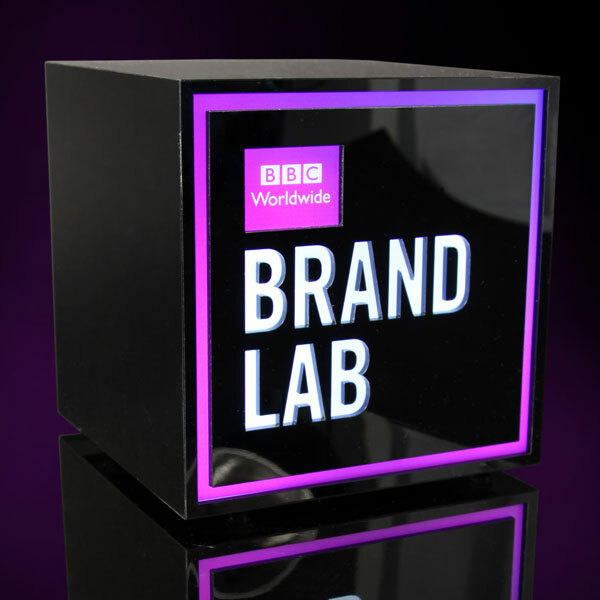 All acrylic awards and acrylic plaques can be further personalised with external printing and given added impact with engraved or printed plinths and smart presentation boxes.